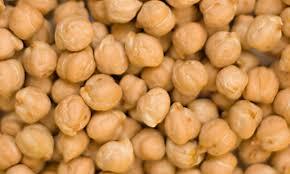 They ares all the same delicious legume, whether in Spanish, Italian, English or Hindi. 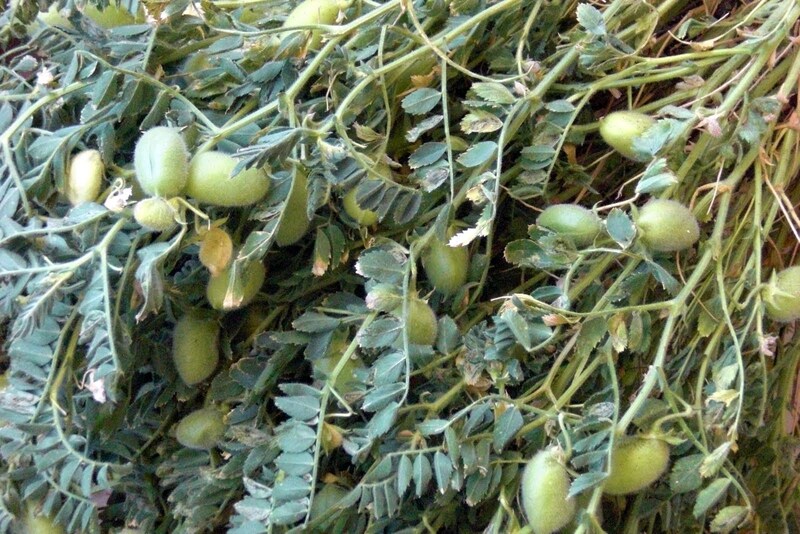 Their origin is unknown, but based on analysis of wild varieties, chickpeas are believed to have come from Turkey, somewhere near Syria, where they have been cultivated over 7,500 years. Neither pea nor bean, the chickpea is classified as a ‘pulse’ because it grows in a tiny pod containing only two or three seeds. 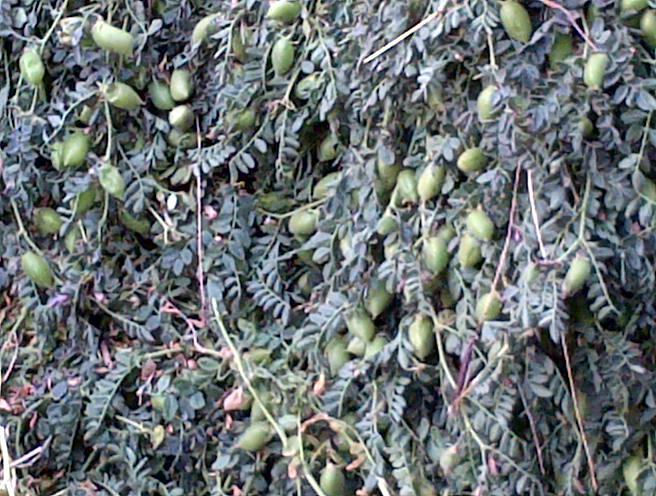 On the vine, they look very much like the lentils we saw in an Udaipur, India, street market rather than like pea or bean plants. This versatile bean is easy to cultivate and high in protein and other nutrients, and is, thus, very important in many vegetarian based diets. 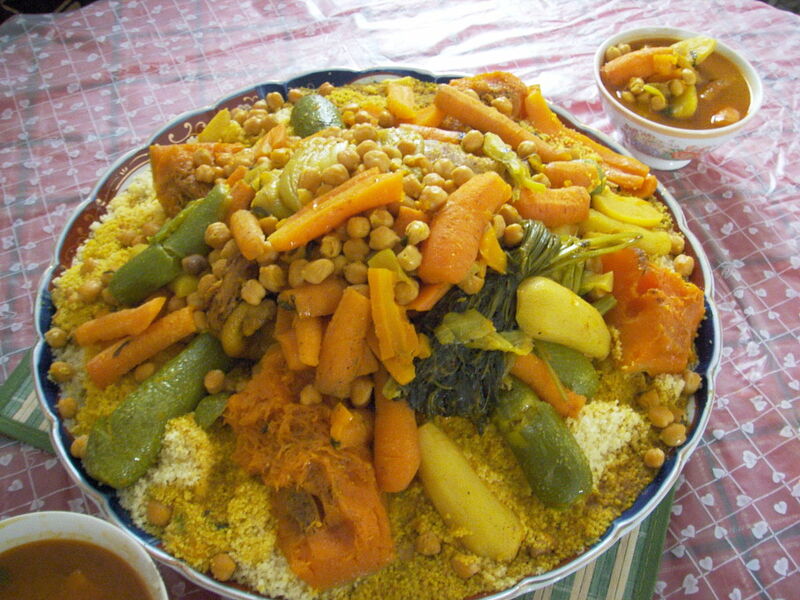 Omnivores like myMEGusta love them in favorite dishes like classic Moroccan couscous. 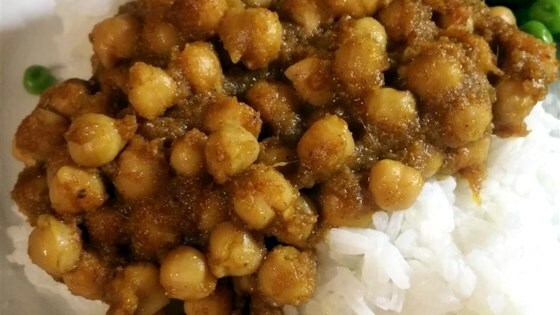 Chickpeas are popular throughout India, the Middle East, and Mediterranean cuisines, and places where those cuisines have immigrated, for example, to Mexico. 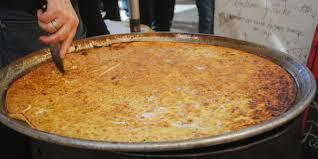 In the South of France and in Monaco, people love Socca, a street food pancake made of a chickpea flour batter with a little black pepper (and, if the cook likes, some rosemary) baked to a crisp in olive oil. Of course, it can be made at home, and it can be garnished with a dollop of salad, chopped tomatoes, or other goodies to round it out to be a meal. One favorite dish, with as many variations as there are Indian cooks, is Chana Masala, chickpeas stewed in a fragrant mélange of spices. 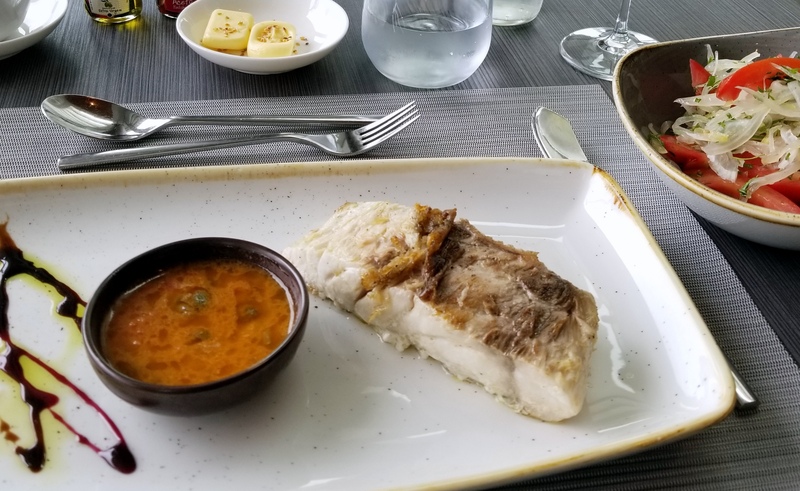 On a visit to a favorite Barcelona restaurant, Etapes, we tasted bacalao (the reconstituted salted cod so loved in Iberia) served with garbanzos and garbanzo puree. 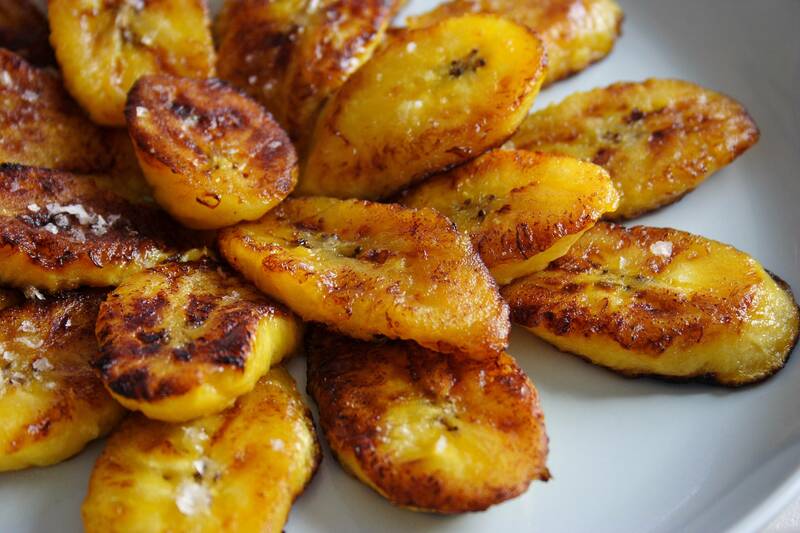 Pure heaven. 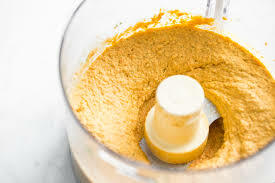 On a more pedestrian level, you can make homemade hummus in a jiffy for a last minute appetizer if you have a few standard ingredients on hand and a blender/food processor. Go to https://www.goya.com/en/recipes/hummus for the quick recipe. I have successfully substituted peanut butter for the tahini (different result, still very tasty). How do you say “old wives’ tales” in Italian? There are lots, and myMEGusta looked into a few of them, some simply misunderstandings, and other, just plain odd ideas. We scratched the surface of the subject in looking at that wonderful Italian dish, Salad Caprese, at its best in the summer time with bursting ripe tomatoes and freshly made mozzarella. 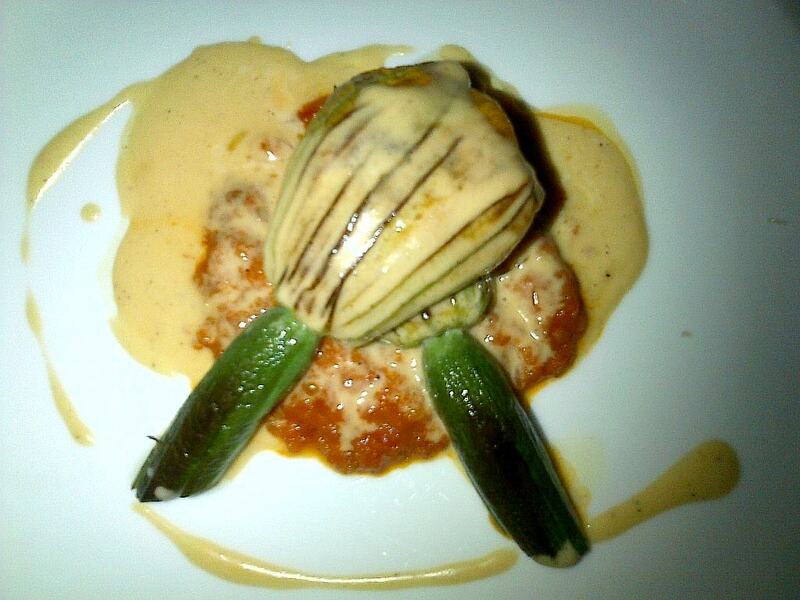 Readers may recall that a fellow traveler insisted that it was not Italian, and no Italian person would eat it. Balderdash! 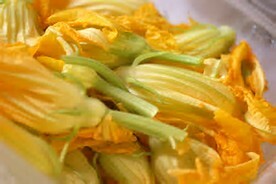 It comes from the Isle of Capri, quite Italian, thank you. And this is representative of a lot of confusion about what is and is not Italian. 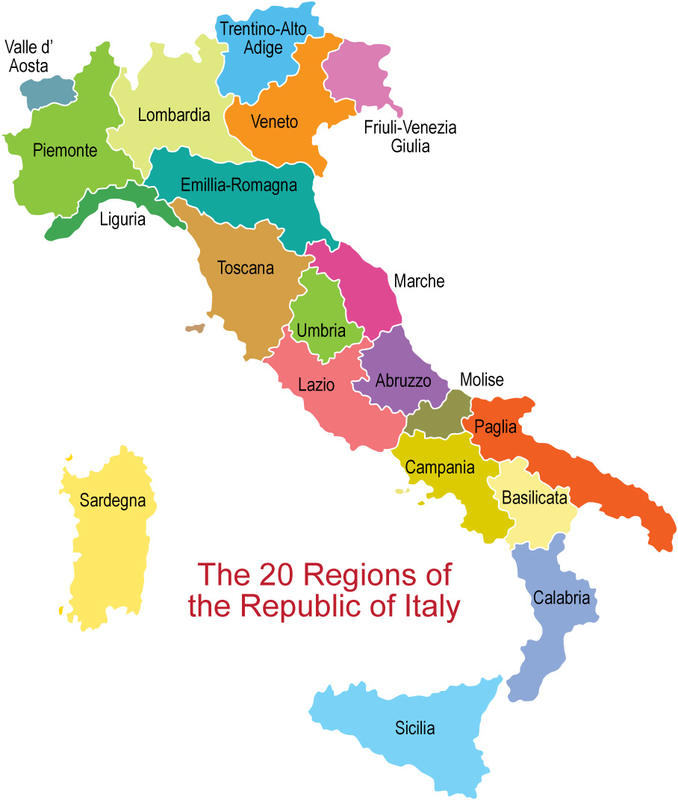 United as a nation only in the 19th Century, Italy was a collection of city states with different cultures, climates, crops, and cuisines. 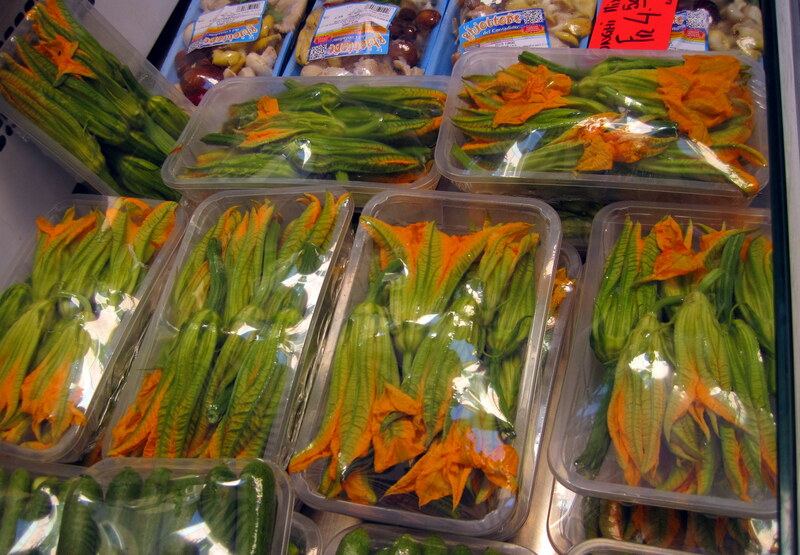 The authentic cooking style in seaside Sicily, in the shadow of Mt. Etna, bore no relation to that of an alpine village abutting Switzerland. 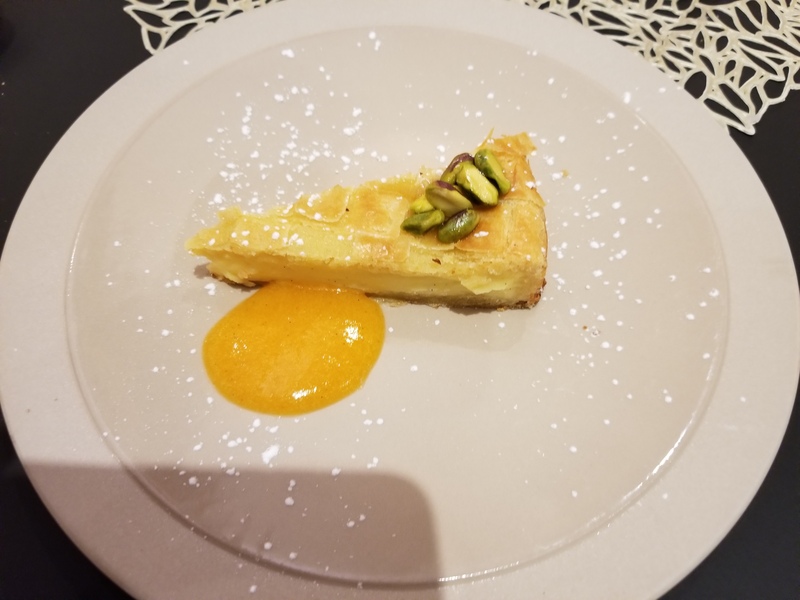 So, myMEGusta rolls her eyes when advised that certain things are NOT Italian, or when specialties from one area are dismissively put down as unquestionably inferior to comparable foods and practices from another. They are, or can be, all wonderful. Let’s talk about pizza. No, the heavily laden, gloppy pizzas of Papa Johns and its ilk are not Italian. “Hawaiian” pizza with pineapple is not Italian. 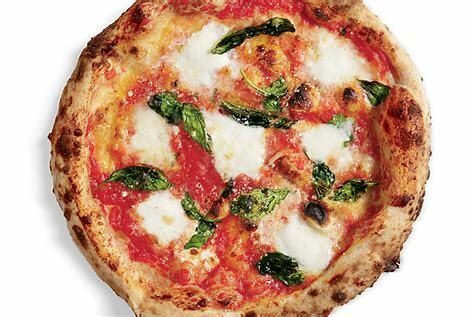 The gentleman overheard on one Metro North train bemoaning that “there is no good pizza in Italy” after a disappointing trip there, was wrong; he just had a very American, un-Italian idea of what constitutes pizza. Naples is considered the mecca of thin crust pizza, but it can be found just about everywhere in the country, with local variations. 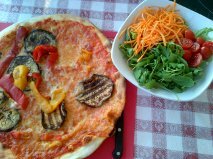 We have fond memories of eating a fantastic eggplant pizza at the unfortunately named “Bar Domino” (no relation to the chain) on the Lake Lugano shore, in the Italian sector of Switzerland. 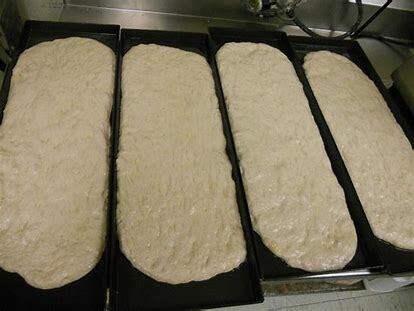 And the giant oblong and rectangular pizzas of Rome are crispy and delicious, meant to be sold by the piece. 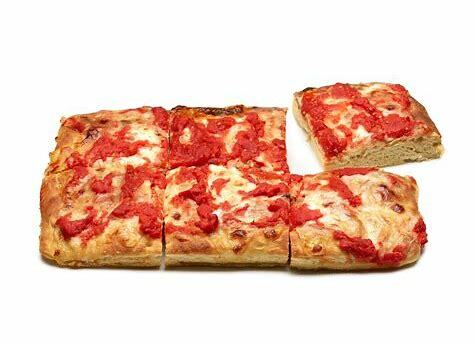 Sicilian pizza is another very real and authentic treat, essentially focaccia bread, as opposed to a thin crust, with toppings. Chicago deep dish pizza is an attempt to replicate this, and can be quite good, but only if the bread base is crispy and delish, and if the toppings are modest and top quality. We recently saw a delightful picture of a very young friend eating pizza with her “nonni,” grandparents, on a trip to visit them in Milano. 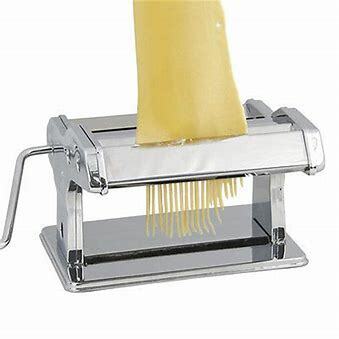 And what about the concept that fresh pasta is, by definition, better than dried pasta? Wrong, again. They are just different: Fresh pasta, found largely in the North, is made with eggs, hence the yellow tinge, and the best versions will use a softer flour. Yes, you can make this at home. 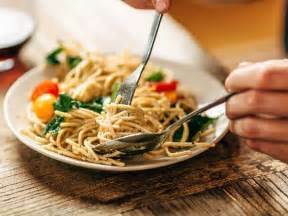 Dried pasta, more Southern, is made with durum wheat, harder, with a higher gluten content and too stiff to work by hand, so it is factory made and sold dried. 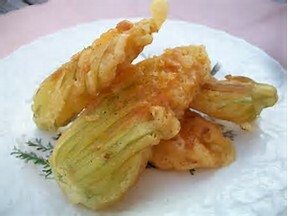 The best of both are equally fine, and will go with different dishes, fresh skewing to the North and dried skewing to the South. For example, you’ll probably see fettuccine served with a creamy sauce (no tomatoes) and spaghetti with a red sauce. Not all fresh pasta is great, and not all dried pasta is, either. Pay attention to the brand, and be willing to pay a little extra when you find one you like. And, forget about the prohibition on twirling spaghetti with a spoon. 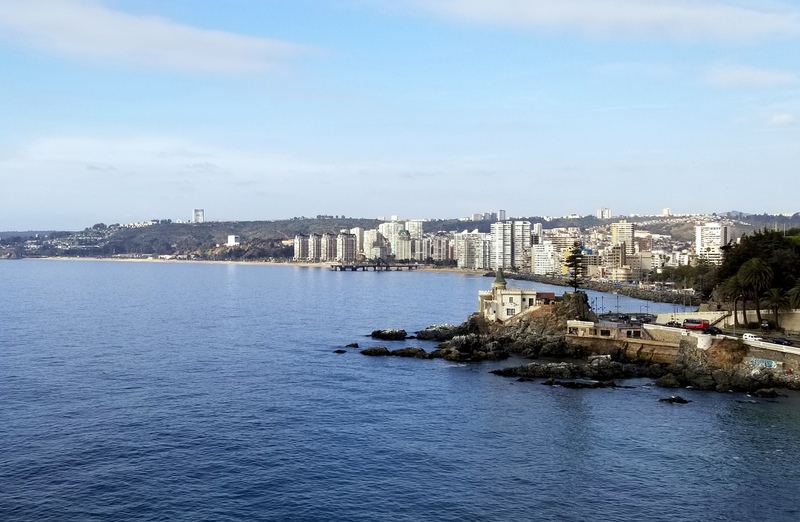 No, it’s not correct everywhere in Italy, but it’s what’s done in Sicily, and we have confirmation on this from a friend who learned it from his Sicilian grandmother. What about tiramisu? 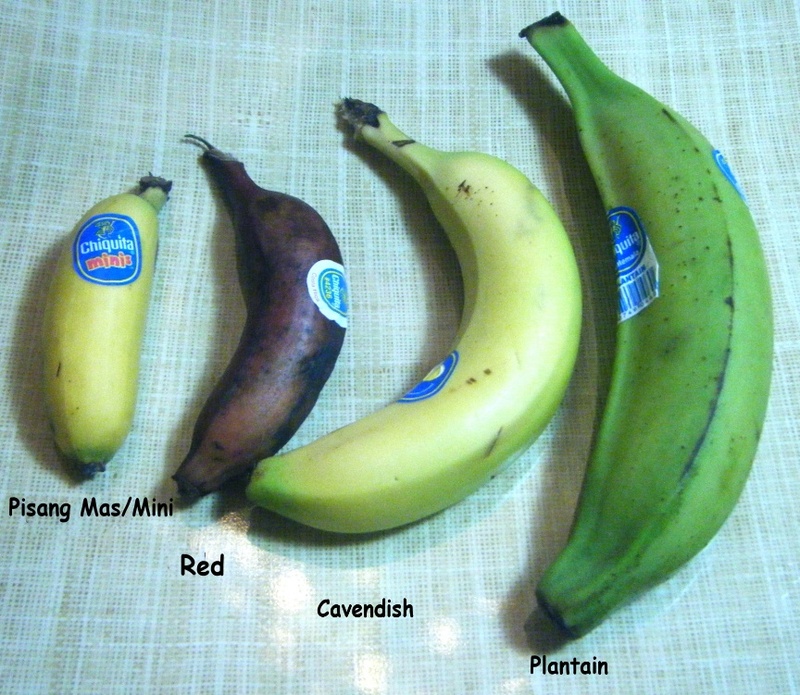 Italian ancestors from some regions will tell you that it’s an imposter. But, not so fast. Tiramisu is as Italian as can be, with several regions claiming its origin, from Renaissance Venice to 16th Century Tuscany. 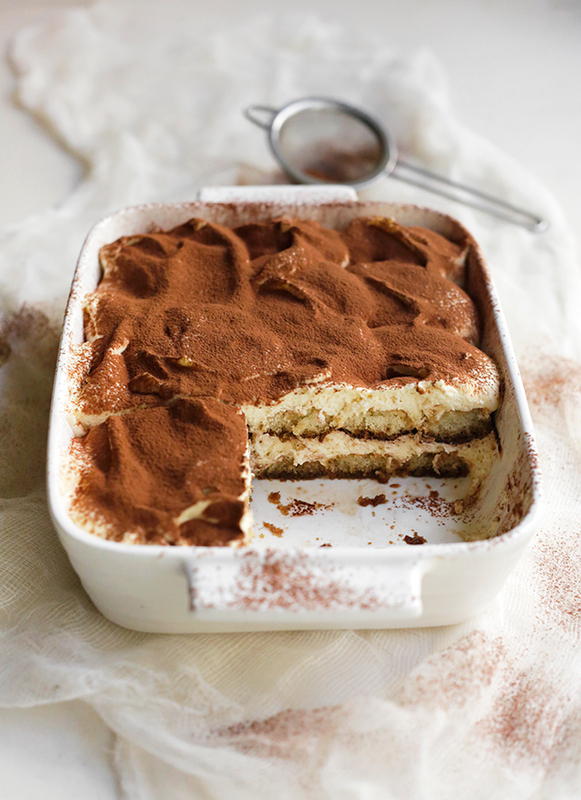 Whether it goes back that far in some form (probably) or not, tiramisu never really became widely known and loved until it was “invented” in 1971 in a restaurant in Treviso. Now, it’s time to plan a trip to Italy to do more research! 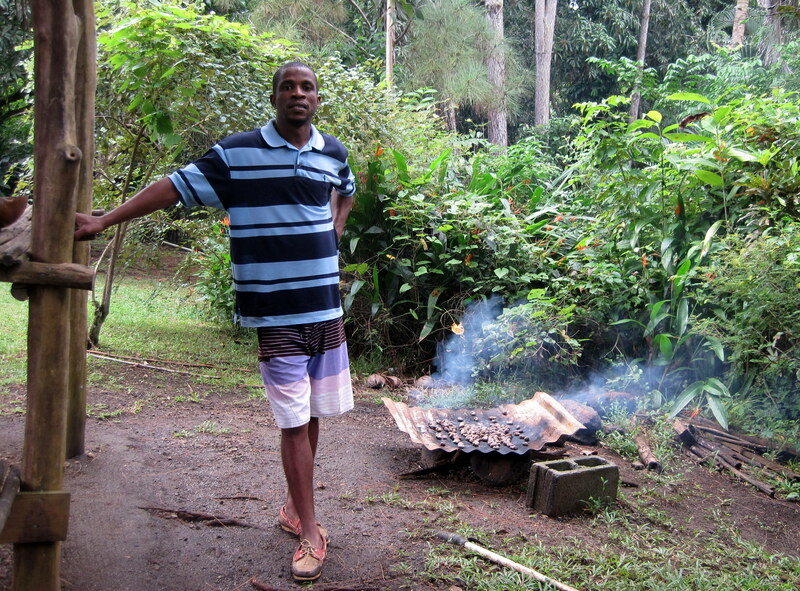 Who knew that a visit to St. Lucia in the Caribbean would yield a taste of freshly roasted cashews, made the old fashioned way over a wood fire, cracked and peeled by hand and still warm when gobbled up? 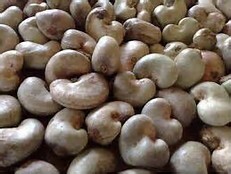 Cashews are another of the universally loved foods that originated in the New World, specifically, Brazil. 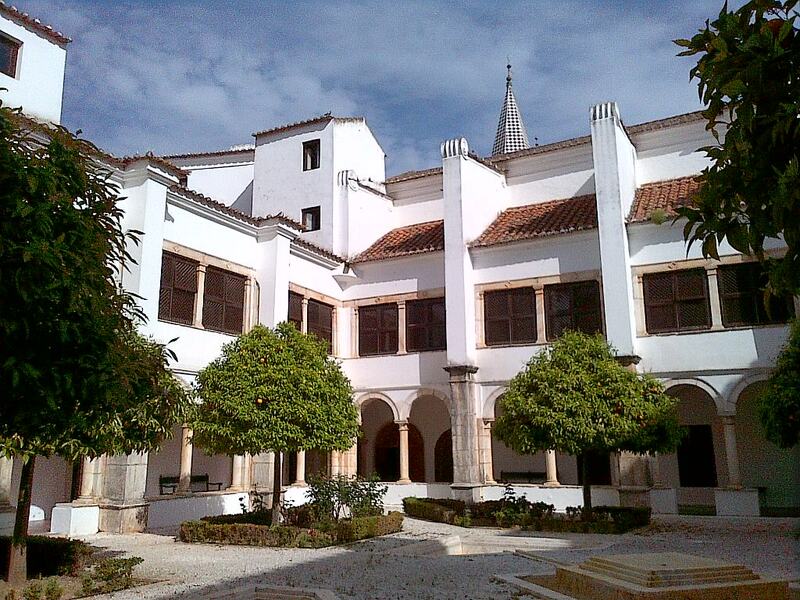 Portuguese traders introduced them to Europe, and then to more exotic locales where they became wildly popular and a staple of local cuisines, like in India and China. 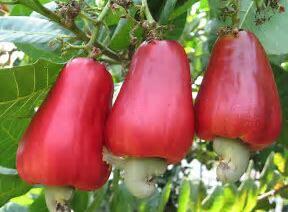 Have you ever wondered why cashews are never sold in the shell, like most other popular nuts? 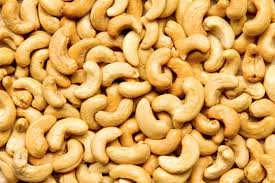 Cashews contain a chemical similar to the irritant found in poison ivy, and so they are never eaten raw. 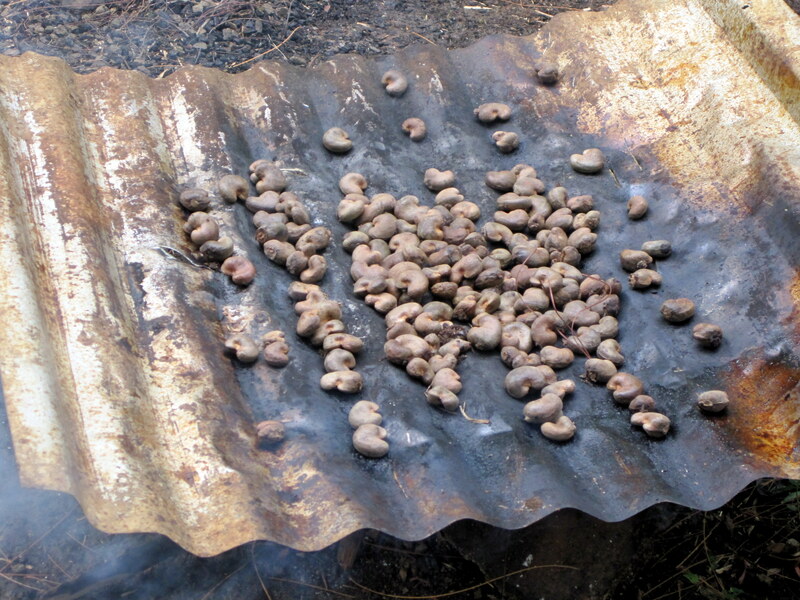 The thick, hard nuts are usually heat processed, by steaming or roasting, and this facilitates the necessary removal of the outer shell and skin. 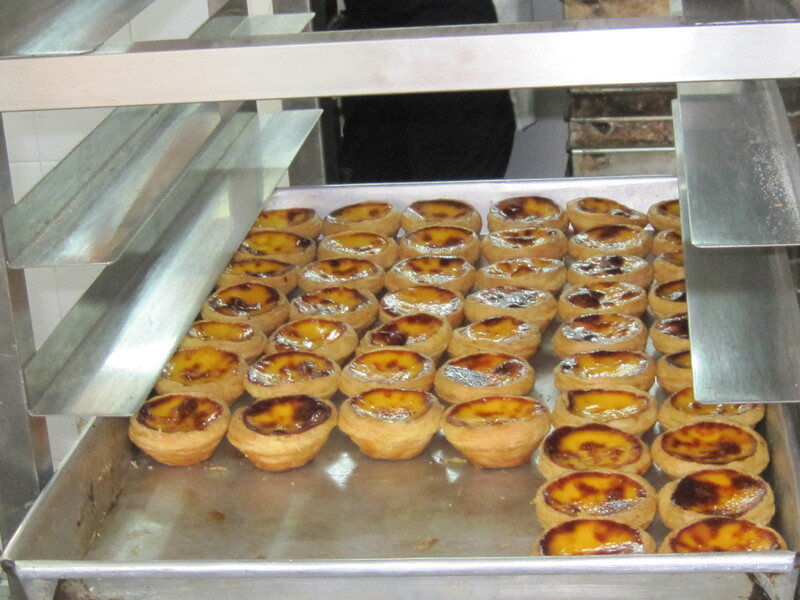 They can also be processed by drying, which can be the case when they are marketed as “raw”, although that may just mean that they have had no further roasting (with or without oil) or salt. The less processed nuts will show up in Chinese, Indian and other popular dishes, while the more processed (developing further flavors) will show up in a Planter’s can or in a little dish on an airplane. 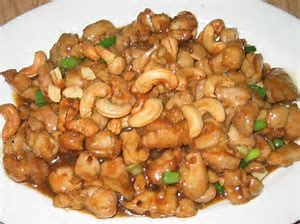 Cashews are particularly popular among vegetarians, because of their high protein content, and you can even find cashew paste and flour in an Indian market (or just go on Amazon or drive to Trader Joe’s). 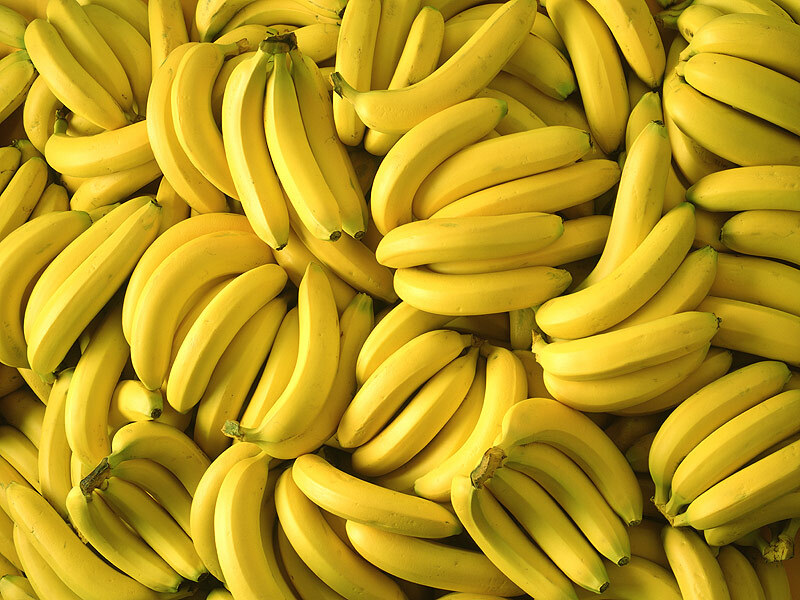 They also appear to be a viable food for those on Paleo diets. 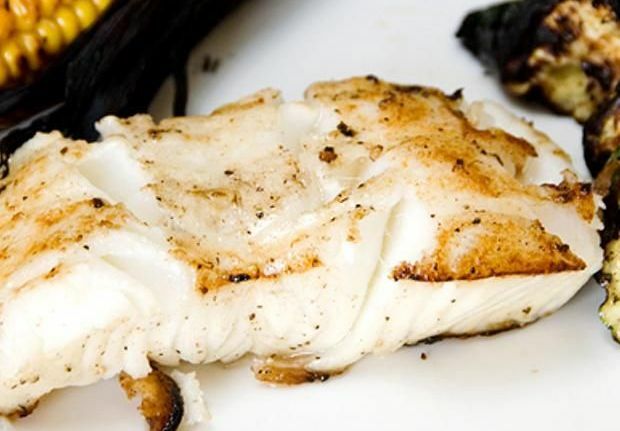 One of myMEGusta’s good cookin’ friends uses ground cashews instead of panko for coating fish, a great idea which she is going to try! Gotcha. 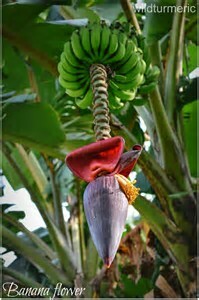 The answer is bananas, not birds. 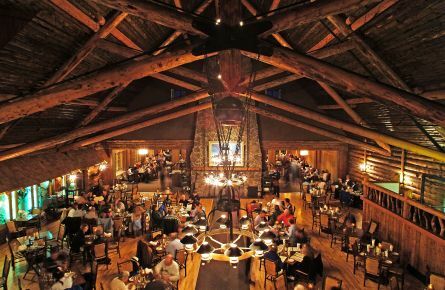 What do lodge dining in Yellowstone National Park and at a Big 5 Game reserve near the Indian Ocean have in common? 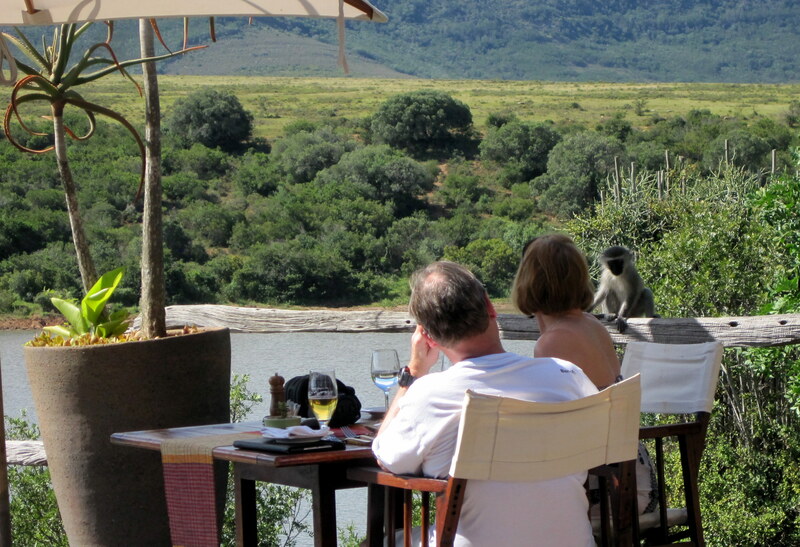 Not the cute monkeys who hop over to steal your lunch at Pumba Lodge in South Africa, that’s for sure. It’s the appearance of “game” on the menu, and it’s no more “wild” than the free range chicken at the grocery store. But this is NOT a bad thing. One thing that struck myMEGusta was the notion of how farmed game was so similar in such diverse places, over 10,000 miles, nearly half a globe apart. This is about bison burgers, which are not made from those beautiful beasts that are ‘home on the range’ in Wyoming, and ‘venison’ which, when ordered in Africa, is really farmed impala. We won’t get into the virtues of eating Bambi, or not, or the politics of the Old West, when the newcomers nearly decimated the bison to eradicate and control the native people who depended on them. 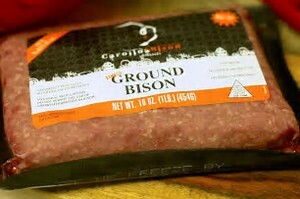 Did you know that bison burgers are really beefalo? Relatively low in fat and cholesterol, the meat of bison (not buffalo, that’s a misnomer that an early settler used and it stuck) cannot be farmed unless it is interbred with beef cattle. The reason for this is very practical: Bison are extremely powerful, violent animals with extraordinary abilities to perform feats like jumping over high fences. Charming to view at a distance, these beasts are quite dangerous up close, which those who attempted to domesticate them learned very quickly. Breeding with the more docile cattle, creating beefalo, made farming them possible, and led them to our tables. 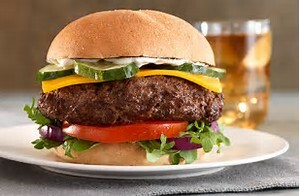 Bison burgers, by the way, are one of the real culinary treats to be had in the Western National Park lodges, although they are so lean that they have to be consumed cooked rare, otherwise they are turn into cardboard. Impala are at the other end of the easy farming spectrum from bison. 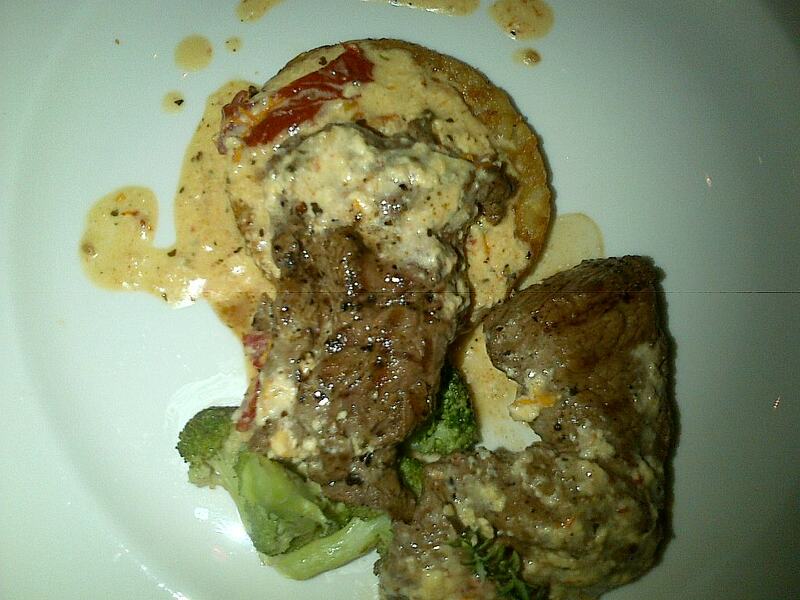 When you order venison in South Africa (and, I suspect, elsewhere in that continent) you will receive delicious impala. They certainly were not captured in the wild (where they are chased by lions), rather grew up in relative calm (and good feedings), on a farm somewhere. And, the venison you find in the United States, unless you are at the home of a hunter (or friend of a hunter) is also farmed. Like deer venison, impala is a delicious red meat, but also very lean, and requiring careful cooking so as not to be overdone and dry. Our friend and colleague, Chef Arno Schmidt, encountered a very different “game” experience on a recent trip to Greenland. 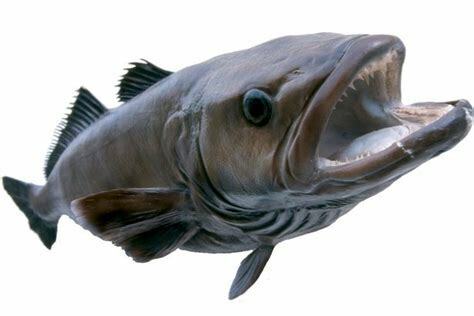 The opportunity to taste never came up, but he describes a fish market in Sisimiut, halfway up the West Coat. A lady “of a certain age” with a walker negotiated with the fishmonger as to exactly which cut of blubbery seal – wild, not farmed – she wanted. 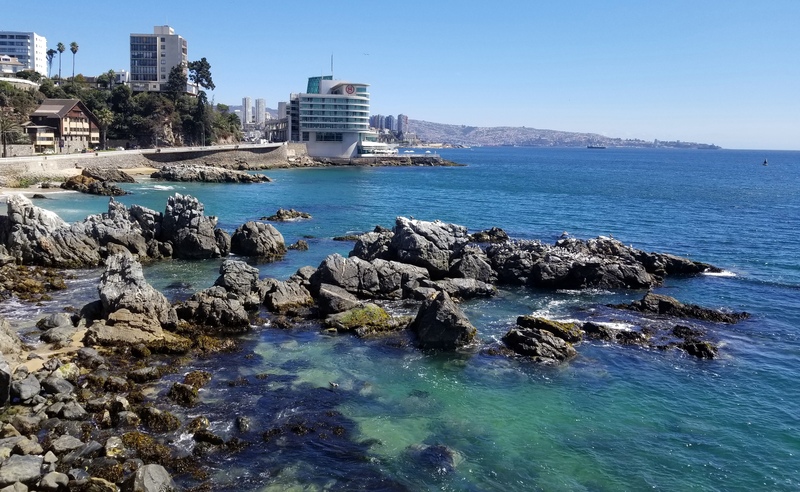 Spotting her later at the supermarket purchasing root vegetables, Chef Schmidt didn’t know what dish she was planning, but he posited that a boiled dinner – one of the traditional ways to eat seal meat – was in the offing. Or she could have been planning on crispy seal cracklings, and rendered seal oil for an old fashioned lamp. Sometimes things just catch your eye. 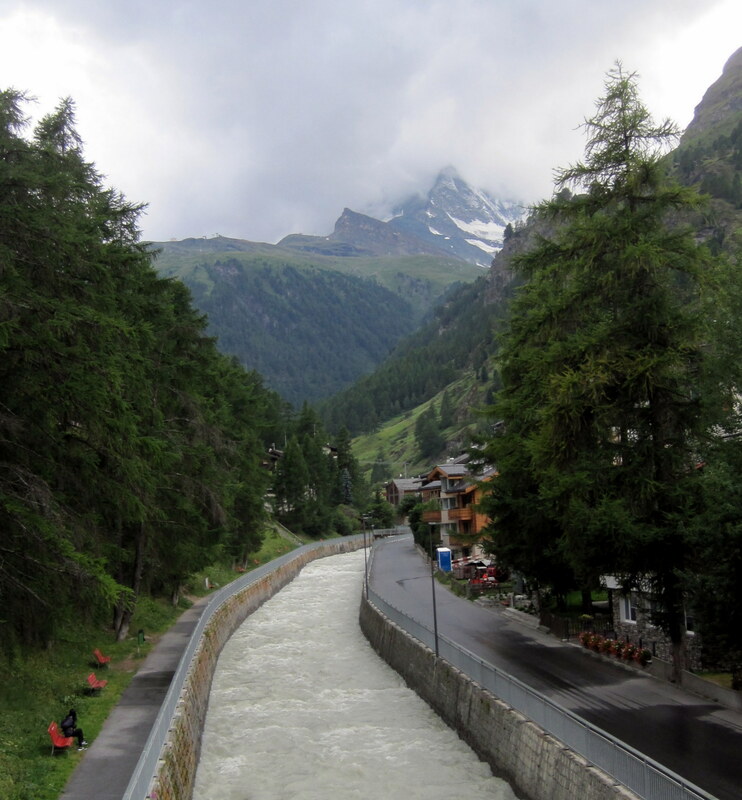 The first Spitzbube sighting was in Zermatt, Switzerland, while myMEGusta was agog from just having seen the peak of the Matterhorn overlooking a glacial brook on a cloudy afternoon. 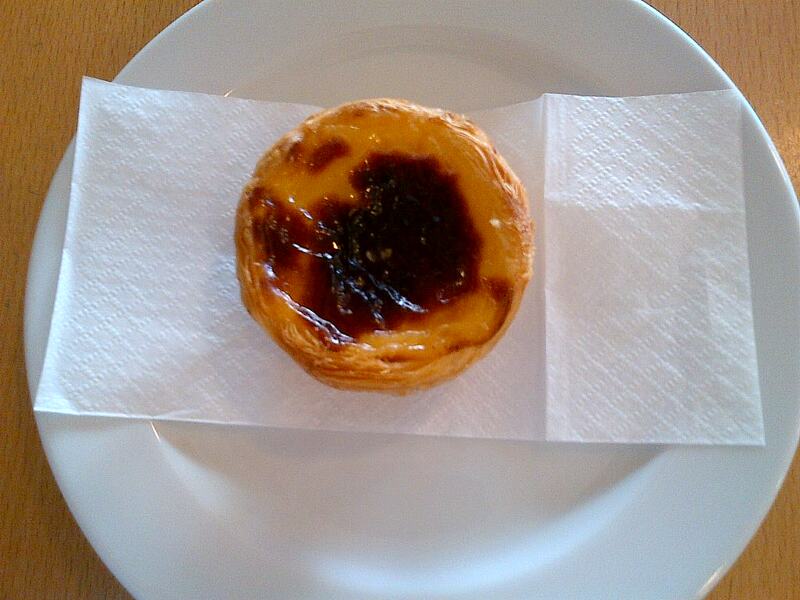 How can you see a cute fellow like this smiley guy and not stop into the bakery to ask about him? Relatives of Austrian Linzer cookies, which also contain ground up nuts and some spices, they have a jam filling, usually raspberry or strawberry. 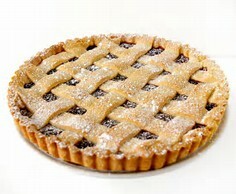 Interestingly, their relative, a proper Linzer Torte, much larger, will usually have a fancier lattice top. 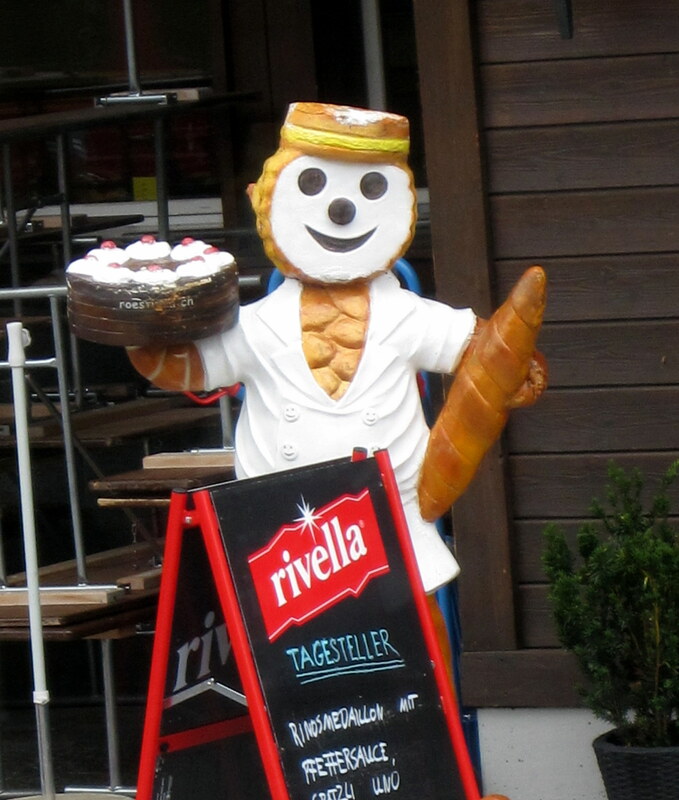 Swiss bakers* have a lot more fun than do the Germans, who simply make them into little circles. 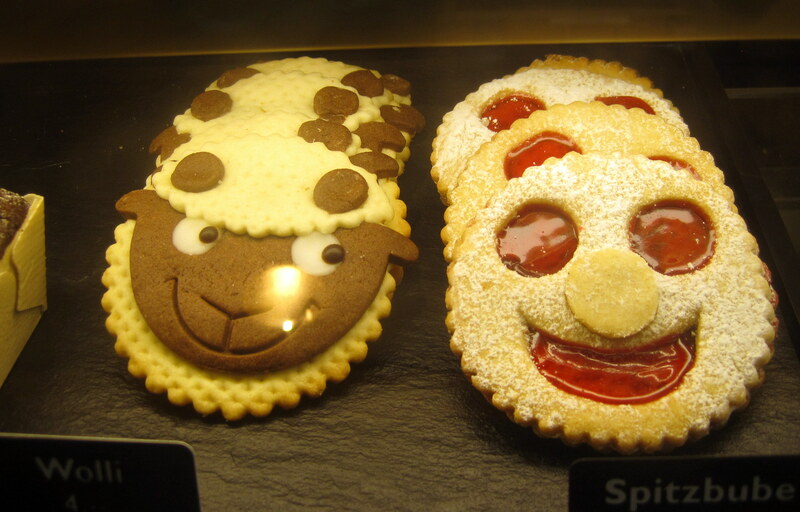 But, they are well known treats in Germany, especially around the holidays. 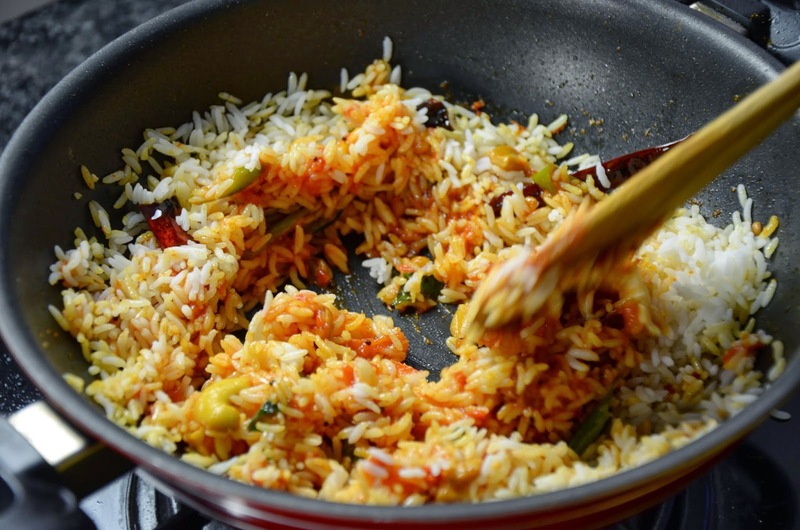 Recipes are rarely included by myMEGusta, but this one looked particularly simple and tasty, and you don’t have to take their boring design direction. Have fun with the shape, like the Swiss do! *Autocorrect wants Swiss bankers to take on this task. 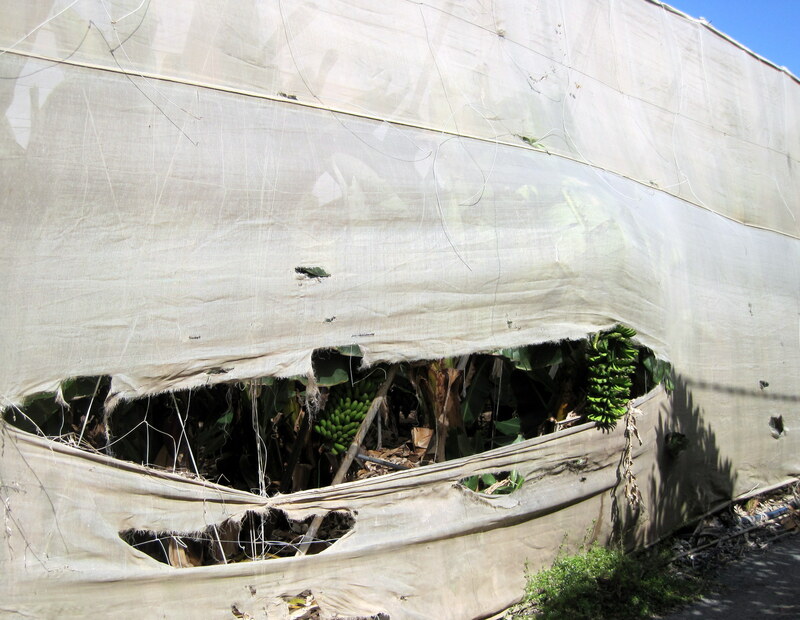 It was a dark and stormy night, rather, noontime. Normally a cause for tourists to be annoyed in July, the cool weather was a blessing for us in beautiful Gruyeres, Switzerland, because it was Fondue Day! And we got Raclette, too! But myMEGusta is getting ahead of herself. Those of us of a certain age remember fondue parties, with fondue pots at wedding showers seeming to multiply like spoons in the sink. Cheese fondue, a mélange of cheeses with some white wine, maybe a little mustard seasoning, was the most popular, eaten by dipping hunks of crusty bread on which impatient neophytes would always burn their tongues. There was beef fondue, now pretty much unheard of, where little pieces of tenderloin were dipped into oil, then dipped in savory sauces. A cholesterol festival, if there ever was one. 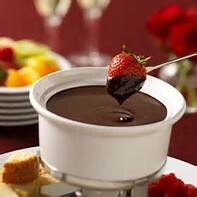 And, who doesn’t love chocolate fondue, totally decadent but delish when made with really good, dark chocolate and excellent fruits in season. 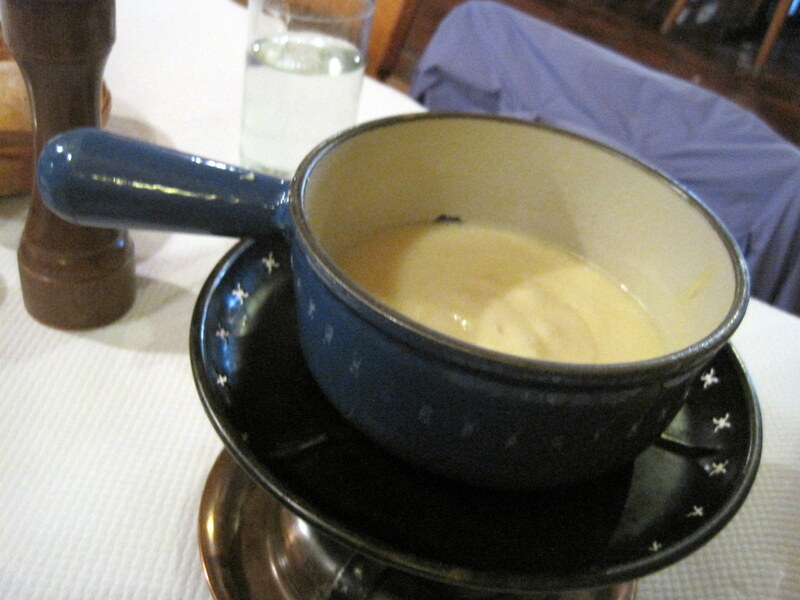 Getting back to Switzerland, fondue is a genuine “local” food, not something created for tourists, but something the locals eat relatively rarely, and then, only in cold weather. 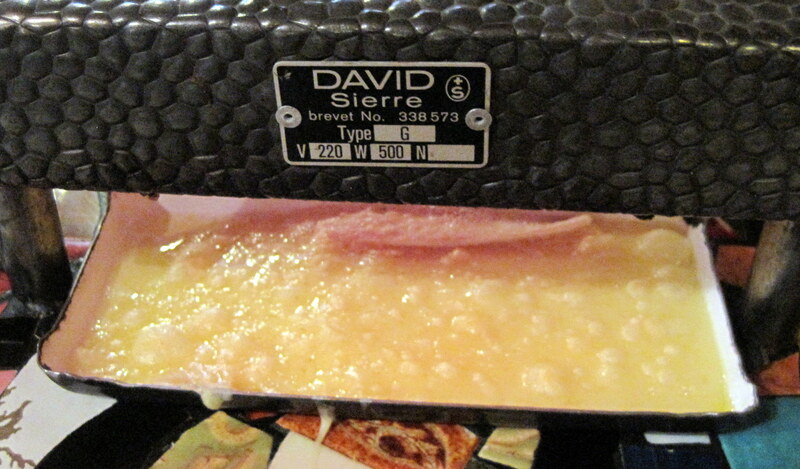 Raclette is a close relative, basically baked cheese which oozes and bubbles as it cooks and caramelizes. It was no surprise to see fondue signs all over the place in Switzerland, but Chinese Fondue mystified myMEGusta (although not enough to stimulate her to order it). Interestingly, and it makes sense, this dish is a local version of the traditional Mongolian Hot Pot, a simmering bowl of broth, in which thinly cut, tender meat slices are quickly cooked, then dipped in one’s favorite seasonings and sauces. Vegetables also simmer in the broth, maybe noodles as well, and it makes for a healthy, savory dinner. The oddly named Hometown Restaurant on Grand Street in NYC’s Chinatown serves a varied and delicious hot pot menu. 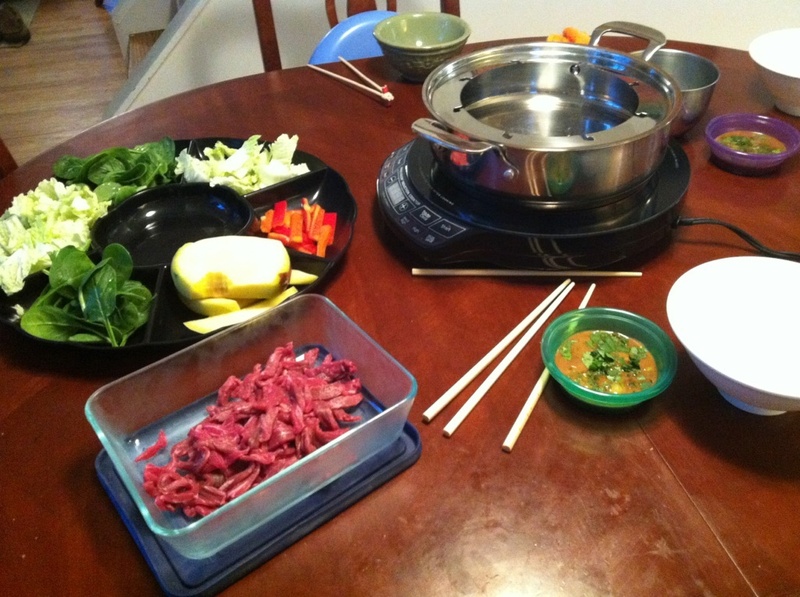 Lovers of Japanese food will recognize the similarity to shabu-shabu, the bubbling broth into which well marbled beef, from Kobe when you can find it, is plunged just long enough to barely cook it, then, like with Hot Pot, dipped in a soy/mirin based sauce. Yummy. 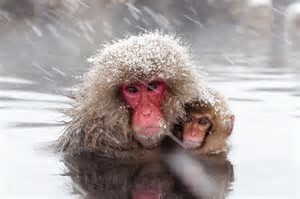 Once, on a trip to visit the snow monkeys of Nagano, Japan, the ryokan’s (inn’s) set dinner included a simmering hot pot (intended for vegetables or noodles or whatever) and beautiful sashimi from the local fresh water, an extremely risky thing for outsiders to eat due to potential parasites and such. Not wanting to cause the innkeepers to lose face, it was imperative to eat the fish. What to do? Sneak it into the hot pot to cook when they were not looking. And it was delicious. It is fun to think that parallel culinary universes developed in the Alps, in Mongolia, and in Japan, and no Marco Polo legends about why the similarities!